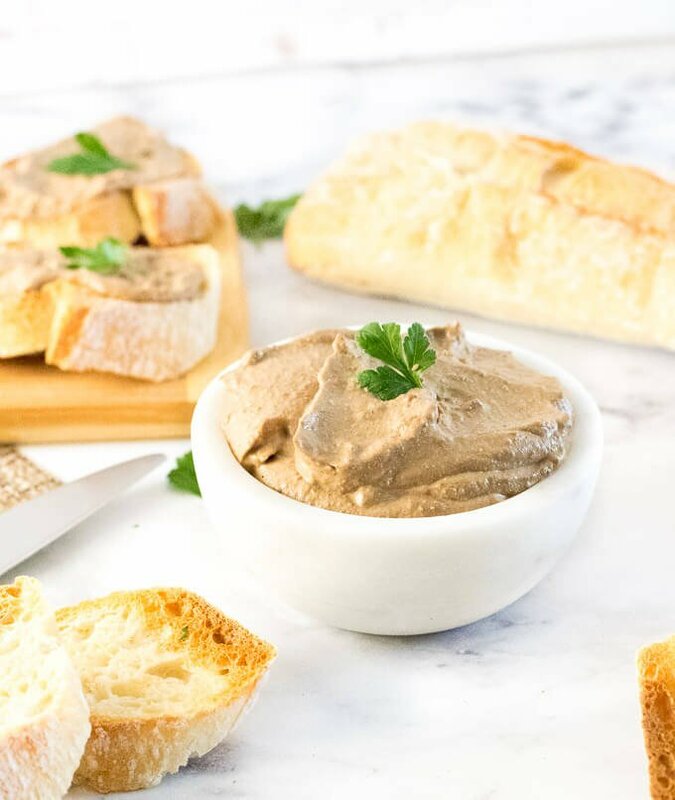 This richly flavored Chicken Liver Pate is the perfect creamy topping for a crusty baguette or cracker. It is the quintessential elegant party appetizer. My grandmother’s refined personality was never more in line with her cooking than when she made her famous Chicken Liver Pate. Now, I don’t want to give you the impression that I grew up in a family of aristocrats, but that never stopped my grandma from maintaining her prim and proper ways in rural Caledonia’s farm country. She lived life on her terms, and quite honestly when she passed away last year I suspect she got into heaven on her terms as well. What Does Chicken Liver Pate Taste Like? Prior to her passing, she shared many of her recipes with me (like her Oatmeal Pancakes), including this one which she called Chicken Liver Paste. Mmm… paste. Despite the name, her Chicken Liver Paste/Pate was raved by all who tried it. Similar to what many of you are thinking right now, an appetizer featuring liver isn’t high on my list of cravings. However, knowing how popular her recipe was, I made it a point to try it. It exceeded my expectations – exceptionally creamy, with a buttery richness, and none of the bitterness or grainy texture I associate with liver. If you don’t tell people they are eating liver, I suspect most will enjoy their first bite. I find the flavor melds further when allowed to sit a while. No surprise, the key to good Chicken Liver Pate is the livers. Rinse the livers under the faucet and remove any stringy bits hanging off, then saute in a generous amount of butter. Be careful not to overcook the livers or it can negatively affect the flavor. They are perfect when the exterior is cooked but they still have a rosy pink interior. All of the ingredients are then pureed together in a blender or food processor. Both appliances work well. 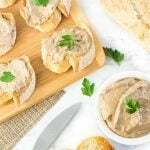 Can Chicken Liver Pate Be Frozen? 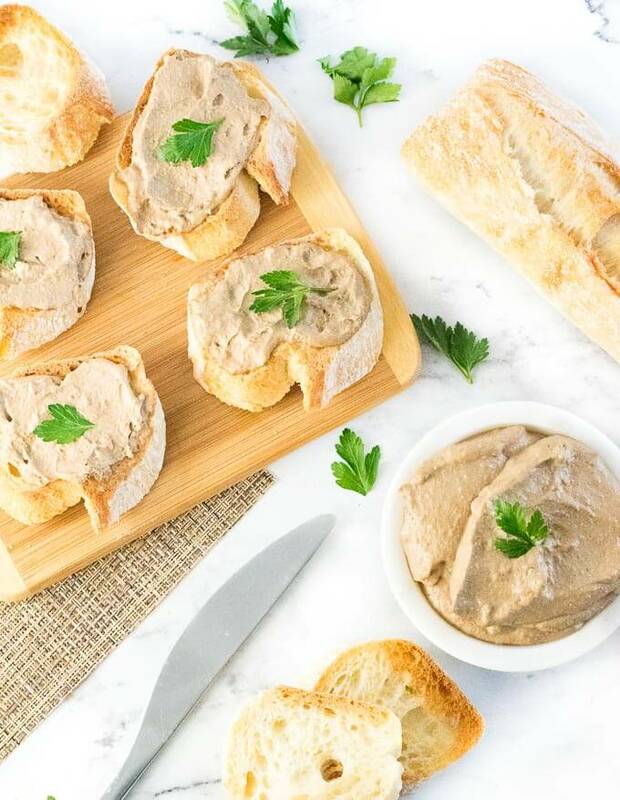 Chicken Liver Pate is a perfect appetizer to make in advance. I think the flavor tastes best the following day anyhow, but if you really are an overachiever, it can be frozen too. Simply portion it into appropriate sizes for future use and place in a freezer-safe container. Be sure to remove it from the freezer well in advance so it can gently thaw in the refrigerator. This article contains affiliate links. Any Amazon purchases made through these links allow me to buy frivolous things at no cost to you. 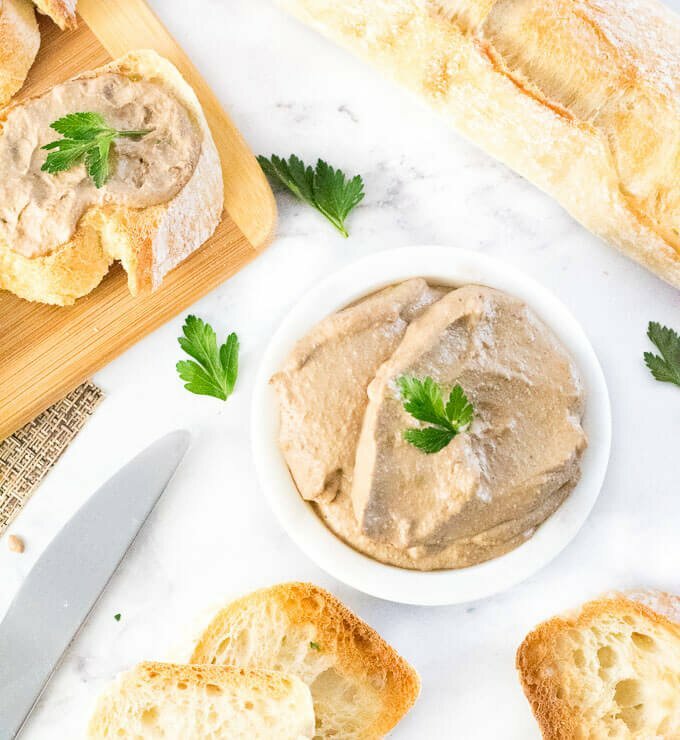 This richly flavored Chicken Liver Pate is the perfect creamy topping for a crusty baguette or cracker. It is an elegant party appetizer at its finest. Rinse livers under the faucet and remove any stringy bits hanging off. Melt butter in saute pan and slowly cook liver and onions together until liver shows only a hint of rosy pink. Add garlic near the end of the saute and cook until fragrant, approximately 2 minutes. Add chicken livers, onion, garlic and butter to a blender and puree until it forms a paste. Add remaining ingredients and puree further until smooth and combined. Serve with crusty baguettes or crackers. Can be made in advance. IF YOU LIKED THIS RECIPE you will love my Cocktail Meatballs in Garlic Butter Sauce recipe too! If you enjoyed reading about my Chicken Liver Pate recipe then you should probably like me on Facebook and follow me on Pinterest too. That’s what I would do at least, because if you don’t get to know me but you still use my recipe it is kind of like taking candy from a stranger, and your mom taught you not to do that. 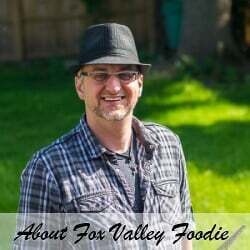 Don’t disobey your mom, subscribe to Fox Valley Foodie today. This has been a family favorite of mine too!